Last month, hotelier Rick Hilton auctioned his Roman mansion at a cryptocurrency auction signaling the arrival of the blockchain. Here's how technology is changing real estate. That doesn't mean your local real estate agent will let you buy a home using cryptocurrency in the next week or two, though. 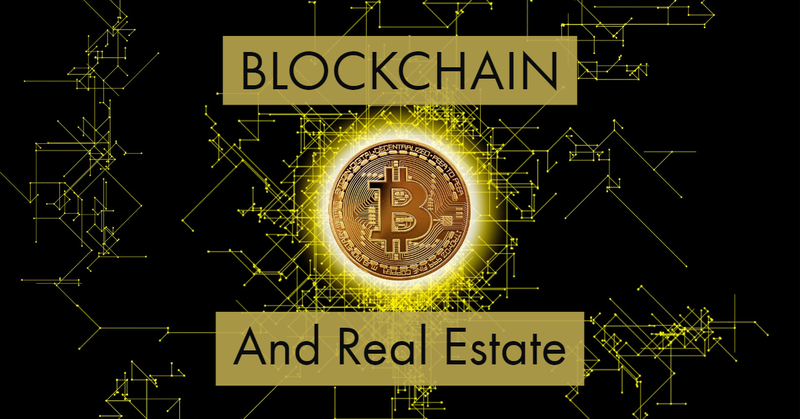 But blockchain technology has arrived, and it’s just now starting to show true emergence in real estate transactions. A blockchain offers multiple functions. This technology hosts other applications on a platform, but its basic function remains the processing and immutable recording of any transaction on its platform in a ledger. It does so in an orderly fashion, one "block" of data at a time, time-date stamped in a "chain." It's literally a virtual chain, or series, of events or transactions. A blockchain may be centralized or decentralized. Many blockchains have developed their own proprietary cryptocurrency for their specific consumer use. Transactions can be for the purchase, sale, or transfer of any asset stored or represented on that blockchain. For example, in Russia, Burger King launched a proprietary cryptocurrency called WhopperCoin. Burger King customers earn WhopperCoin when they buy a Whopper. You can also buy it, give it as a gift or sell it. The virtual coin works similar to a gift certificate, except that no minimum purchase amount exists. It also functions like a rewards program since consumers earn it when they dine at the restaurant. They can redeem WhopperCoin for food at the restaurant. This type of cryptocurrency coin or token is referred to as a reward token. Other cryptocurrencies, like Bitcoin, the first crypto token, forgo proprietary use for widespread use. You can purchase Bitcoin for real estate, or use it to make purchases or trade it for other crypto coins in a coin exchange, similar to a stock exchange. It's often used as the purchase currency when a new blockchain startup crowdfunds its project via initial coin offering (ICO), a process similar to an initial public offering (IPO) except that in an IPO the firm has usually been in business a few years and at least has issued its minimum viable product (MVP) already. Crypto tokens like Bitcoin are called currency tokens or coins. When a company creates its own token to raise funds via ICO, the coin usually is known as a security token because it bears strong similarity to the function of a stock - a financial security. Propy, the real estate technology firm that handled the Hilton auction, accepts the cryptocurrency Bitcoin for its transactions. The final main type of cryptocurrency is the utility token. Contrary to the name, you don't pay your electric or water bill with these - yet. When a firm offers a proprietary token that consumers can use to purchase services on its own blockchain, that token is referred to as a utility token. When the chairman of Hilton Hotels and Hilton & Hyland sold his $38 million mansion using the international real estate broker, Propy, a blockchain real estate technology firm, he signaled the acceptance of the emerging technology by the Old Guard. Propy calls itself a "global property store." It built its smart app, also referred to as a smart contract, on the Ethereum blockchain. It offers property for sale or auction and records each transaction to its decentralized title registry. It lets you buy a home online using cryptocurrency. Because smart contracts can be coded to automatically comply with local or regional regulations, Propy enables legal cross-border sales. Its automation lets "brokers, buyers, sellers, and title agents" from various locales to work seamlessly together using technology that also includes automated translations. Its Ethereum-based ledger produces instant online title deeds. While it transacts property sales using Bitcoin, it uses its own ECR-20 token, PRO, a utility token, for consumer use to purchase services including title change of ownership or the registration of a new title. How Common Is Blockchain Tech? In real estate, companies like Propy continue to pop up. But things have yet to reach the level of ubiquity where companies like Infinity Real Estate Group or Better Homes & Gardens Realty have rolled out their own blockchain technology for transactions. With a $340 billion international real estate market, you can expect significant growth in this area in the immediate future. Your real estate agent may start using a blockchain in the next couple of years or less. Both foreign and US real estate sales continue to move to the blockchain. As Forbes and Business Insider have pointed out, the Multiple Listing Service (MLS) woefully lacks in many respects. It falls out of date easily. It's decentralized in a bad way with one implementation in Oklahoma, for example, working poorly with an implementation in California. MLS was developed for real estate professionals and remains an off-limits resource for the majority of consumers. Enter Imbrex, a global real estate firm using a blockchain platform to offer real-time listings, allowing consumers to search homes for sale, and directly contact the listing agent. In addition, it does so without charge to the consumer and without third-party advertising. While blockchain technology continues to enter multiple fields, it currently does so via small startups that create independent projects. Companies like Propy and Imbrex are leading the way to blockchain technology, as do other early adopters like Hilton. With these early entries, and blockchain technology receiving academic and business development assistance from major firms like Microsoft, you’re certain to be seeing blockchain technology enter the wider real estate picture in the upcoming years.